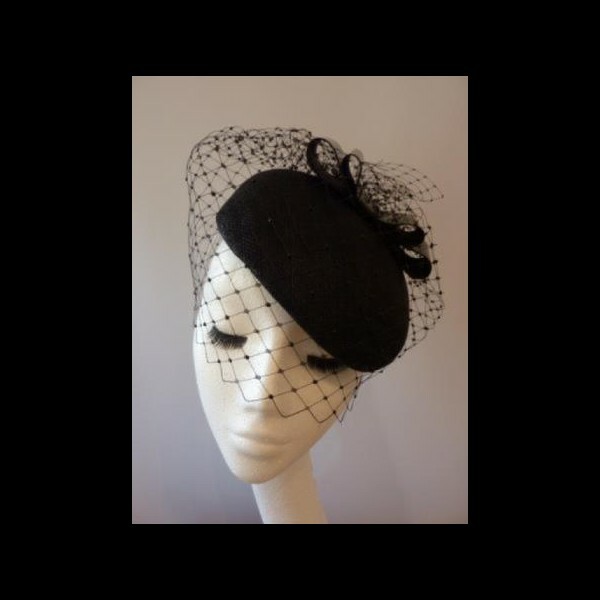 A jaunty cap shape percher in Black Sinamay. A medium sized cap shape in Black Sinamay, mounted on a slim and discreet Silver metal hairband. 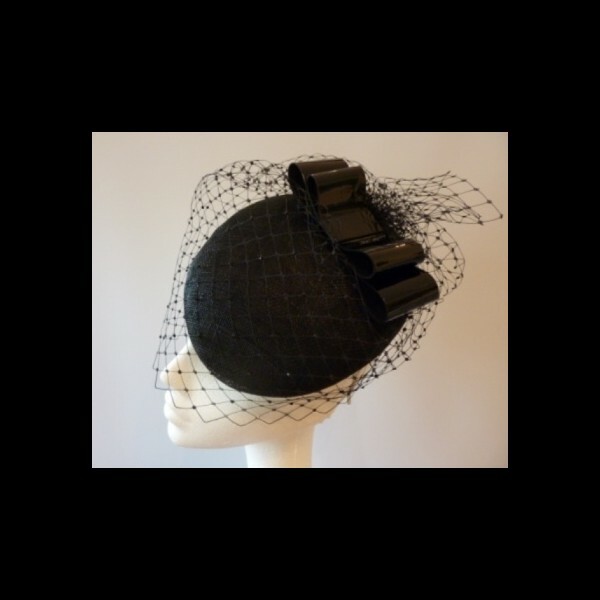 A cloud of black veiling covers the cap, with sufficient veiling to cover the eyes (eating & drinking is still possible !). 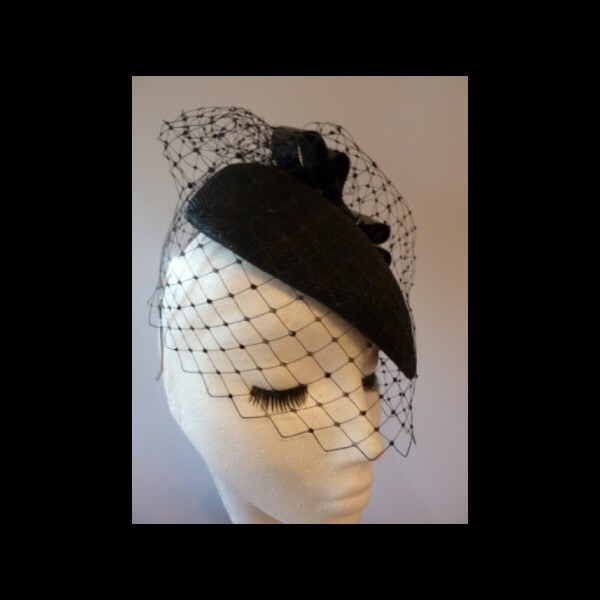 Dotted on the veiling are tiny Swarovski cystals in Jet Black. The finishing touch is a handmade black patent leather bow. 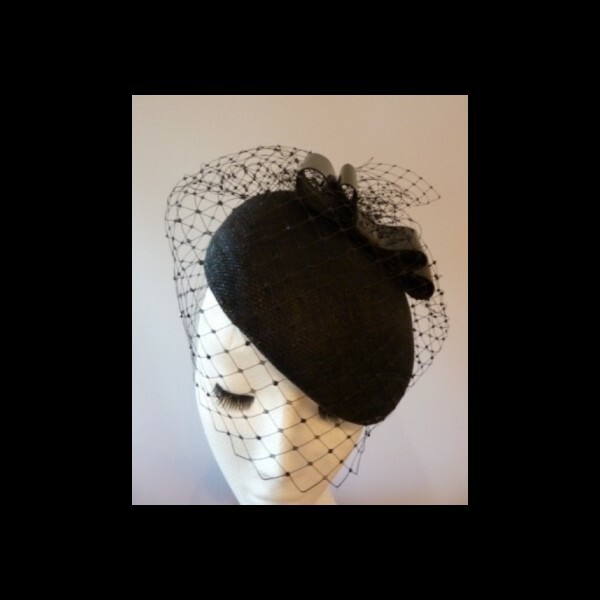 This style of headpiece is now available only by bespoke order.